Earn up to 250 Points. Looking to lose weight using a 100% natural supplement? Here’s your answer. We’ve combined two of nature’s most effective energy-boosting ingredients into one capsule formula. The caffeine content in green tea has been shown to help with fat loss by boosting metabolism and suppressing appetite. This effect is further enhanced with the addition of green coffee – an all-natural stimulant that also helps to boost your metabolism and curb your appetite – making it easier for you to follow a calorie-restricted diet. Made in the UK from high quality ingredients, Body Perfect Green Tea & Green Coffee is a double-action formulation that helps you reach your slimming goals. Bio-Synergy Green Tea & Green Coffee is a natural but effective stimulant that delivers consistent weight loss support for anyone looking to slim down. Each serving provides 1000mg green tea and 250mg green coffee to give you a rich source of polyphenols and a natural source of caffeine. This unique combination has been shown to assist with wellbeing, energy and weight management. Green coffee is derived from raw, unroasted green coffee beans, which are naturally low in caffeine. It is high in chlorogenic and caffeic acid, the two primary compounds responsible for the efficacy of green coffee. Green tea comes from unfermented leaves and may help to support all areas of your health due to the presence of antioxidants, called polyphenols, which can neutralise free-radical molecules and protect DNA, vital organs and tissues. Free radical damage can cause oxidation, which harm cells in the body and may affect the immune system. Bio-Synergy Green Tea & Green Coffee capsules could help to alleviate this potential problem. While the benefits of green tea may be new to you, the Chinese have been using green tea as a medicine for thousands of years to treat everything from headaches to depression. So, why not see what our formula can do for you? Our green tea formula comes from the leaves of the Camellia Sinensis plant and, unlike most other teas, is non-fermented to retain the potency of its polyphenol content. IS BIO-SYNERGY GREEN TEA & GREEN COFFEE RIGHT FOR YOU? If you’re looking to slim down, control your appetite and stay healthy, then Bio-Synergy Green Tea & Green Coffee might be your ideal supplement. We’ve got you covered with a wide range of other weight loss products: Body Perfect®, Matcha Green Tea Powder, Skinny Protein®, Activeman Thermolean®, Skinny Water®, Vegan Lean&Green®, Thermogen and CLA. As with all our products, Bio-Synergy Green Tea & Green Coffee capsules are made from only the highest quality, locally sourced ingredients. What’s more, our weight-loss range is manufactured in our own UK-based facilities by an expert team of scientists. That’s how we ensure every bottle is made to the same high standards. Green Coffee Standardised Extract, Green Tea Standardised Extract, Gelatin (Capsule Shell), Magnesium Stearate, Silicon Dioxide. 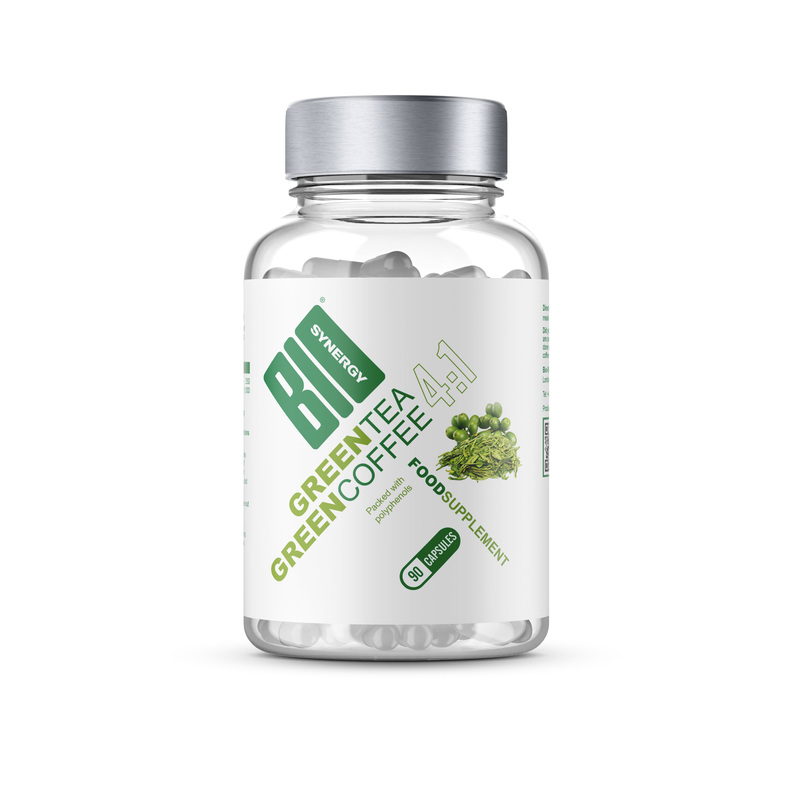 For optimal results, take four Bio-Synergy Green Tea & Green Coffee capsules per day. Take two capsules before meals with a glass of water. Most customers report noticing results within one month. We advise users not to consume Bio-Synergy Green Tea & Green Coffee before sleep due to it containing a source of caffeine. Do not exceed the stated recommended daily dose. "I have found this product works for me and would recommend it to anyone trying to loose weight, it helps keep the energy levels up, I would say to anyone give it a try as I have tried most brands and find this one which works for me. Joyce Pasley"